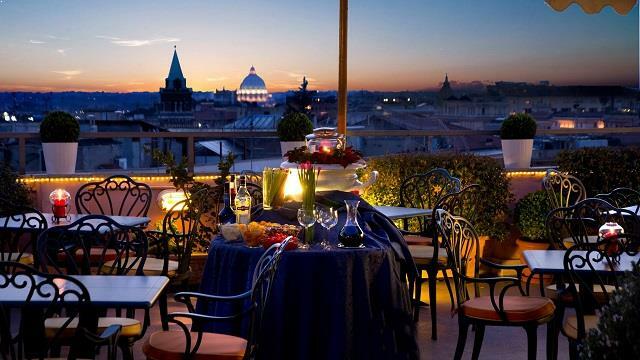 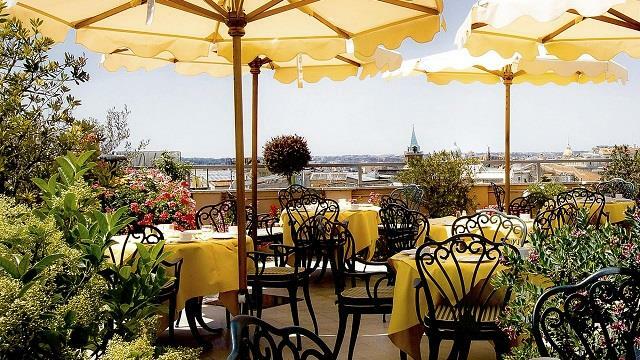 Marcella Royal Hotel is a classic boutique hotel in central Rome that holds a very cosy and garden like roof terrace. 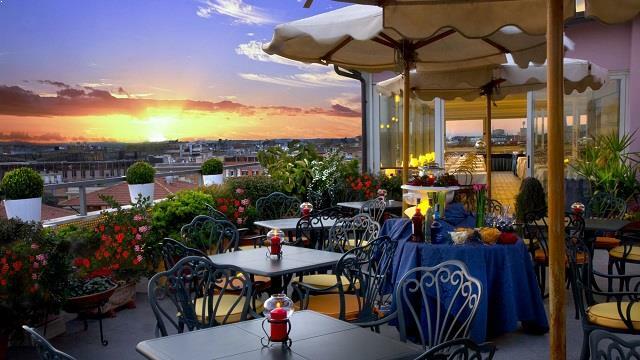 This rooftop bar in Rome is perfect for those looking for tranquility and harmony, along with breathtaking views of all of Rome and the Vatican. 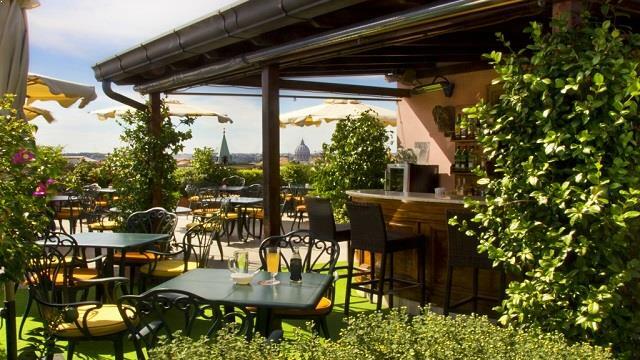 In the warmer months, guest at the hotel can enjoy their breakfast at the terrace in the mornings or relax in the sunbeds during the day. 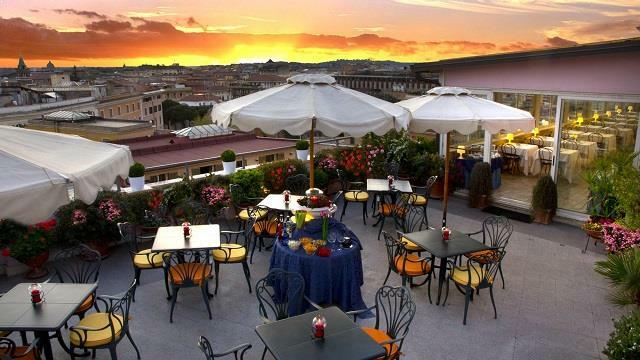 In the afternoon and at night it is the perfect spot for everyone to have a really relaxing cocktail or glass of wine and enjoy the lush settings and the panoramic views of Rome.